Being a teacher is amazing. You get to fill your days with teaching and molding young minds, learning with them, laughing and engaging with them and knowing that your choice of occupation in life is truly helping to make a difference in the life of others. But sometimes, being a teacher can be tiring and overwhelming as well. The long hours, the grading papers at home, the extra communication with the parents…it can be a lot! Just like us all, teachers deserve a bit of break, too! While summer vacations can be an awesome bonus for teachers, a little help can still be needed throughout the school year as well. Here are a few suggestions for some classroom hacks that are sure to ease some of the stress and planning required for teaching! 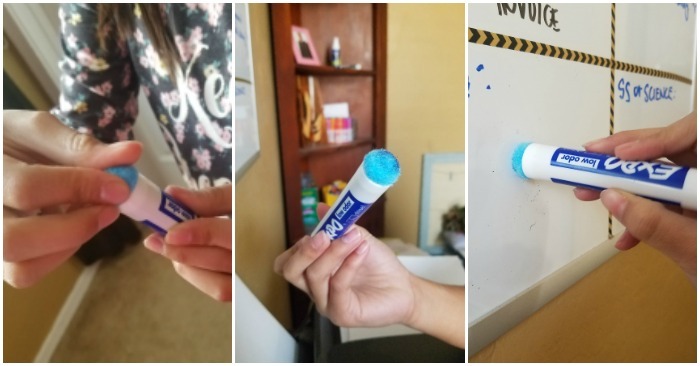 Simple dry erase board erasers made with pom poms were actually my daughter’s idea! She was in my office one day and asked why I used an old sock as an eraser. So she grabbed a pom pom from the craft box and voila! It actually sticks perfectly and erases better than my sock. Classroom Hacks Teacher’s Will LOVE! 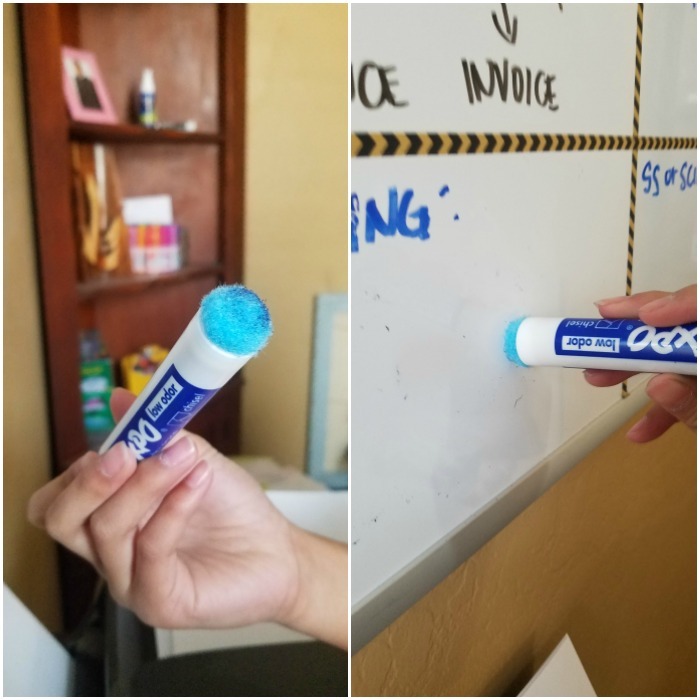 Add velcro strips to dry erase markers. I don’t know how, but those dry erase markets have a habit of just disappearing. Adding a small strip of velcro to the back of them and having another small piece on the whiteboard, will keep them secured and in place for each and every time you have a need for them. Chalkboard paint is your friend! Long gone are the days where classrooms have good ol’ chalkboards in them, but that doesn’t mean you can’t create your own. The great thing about chalkboard paint is that it can be used anywhere. Create your own chalkboard welcome sign, which can be reused later for other announcements. Maybe you need something on the smaller side? 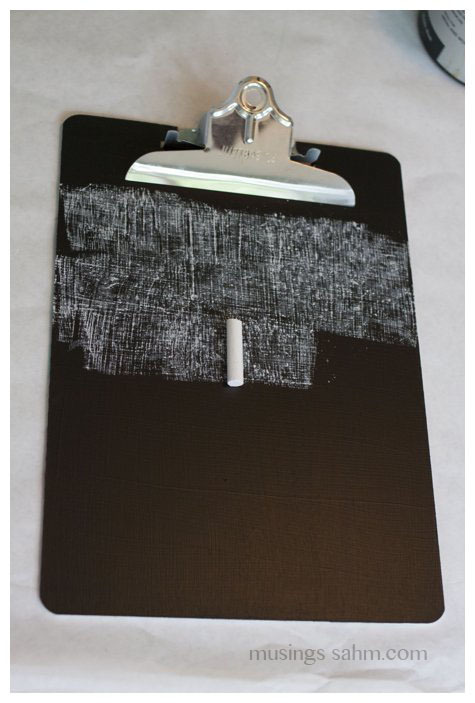 These chalkboard clipboards are perfect for featuring student’s work. Repurpose those spice containers! Have some empty spice bottles just sitting around? Clean’ ’em out and use them as storage for those tiny items in your classroom. Perfect for thumbtacks, rubber bands, and paperclips! They fill easily and neatly in a desk drawer as well. 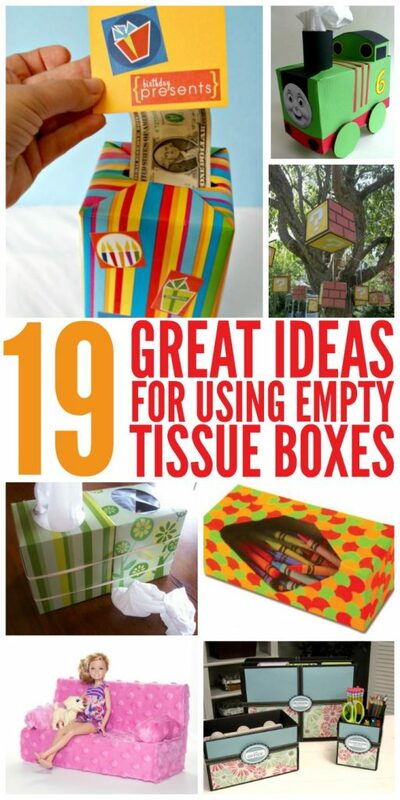 Keep those empty tissue boxes! They make for awesome storage. You can decorate them up nice and pretty with wrapping paper or scrapbook paper if you choose, and then use them for places to keep markers, extra pencils or other items that student may need. Communicate effectively and efficiently with parents. Let’s face it, communicating with everyone takes up time. While it’s nice to be able to answer questions and have those one-on-one conversations, you may not always have time for it. See about setting up a newsletter to email out weekly to the parents of the students in your class to let them know what’s going on. It get’s them information and may squander any further questions, too. Use only clear containers to put items in. Don’t waste time trying to go through containers or remember where you put something. Clear containers are awesome. You can see what’s in them, so you know what’s in them. Do you still do rug time? Add simple dollar store stickers on your rug to create sitting spots. Nothing like a hoard of kiddos running for that one special spot, now there’ll be a special spot for everyone. Shoe organizers aren’t just for shoes. Invest in a couple of the clear plastic door shoe hangers and place them throughout your classroom. Then, stuff ’em full of stuff that you need to have handy but out-of-the-way. Stapler, scissors…you name it. If it fits in there, it’s less clutter! Create an absent resource center. With flu and cold season happening all the time in the classroom, students may be missing out on assignments and work. Teachers don’t have the time to go through everything with them, but still, need to make certain that they have the lesson that they missed. Make a drawer in a filing cabinet and label it “Absence Area”, and have the drawer full of hanging file folders with copies of the work done that week. That way, students can head that way on their own time to grab what they need to make up. It holds them accountable as well and saves you time. Make vinyl stickers your friends. If you have space on your tabletops, wall pop vinyl stickers are awesome. You can peel them off, stick them on the surface and create an instant dry erase board for each and every one of your students. 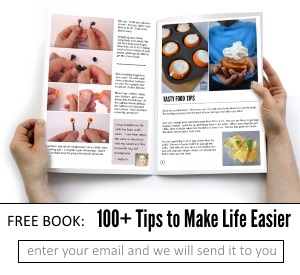 They are circles that are large enough to write on but don’t leave a messy residue behind. Waste less than grabbing them paper all the time, and less mess too! Having classroom hacks as a teacher is a must! Try a few of the suggestions above and see if they help lessen the time it takes you to plan and communicate. We all deserve a few breaks here and there!